Modern dental offices have undergone a transformation. Many dental offices have shed the all-too-familiar bland and uninviting interiors that patients expect to enter, and instead have chosen to create vibrant or soothing offices that patients want to return to. Often, these offices will offer drinks like coffee or smoothies and even video games for kids and teens. So, if you are a dentist thinking about changing your dental office interior, or a patient who still has reservations about booking your next appointment, explore some of these innovative and exciting dental interiors. 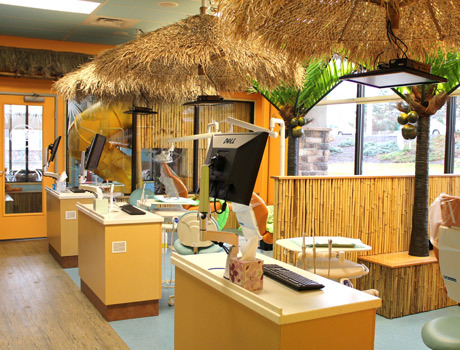 Popular dental office designs range from farm, forest, beach and underwater themes, all the way to the jungle and even space! What are your thoughts about the design of these dental offices? 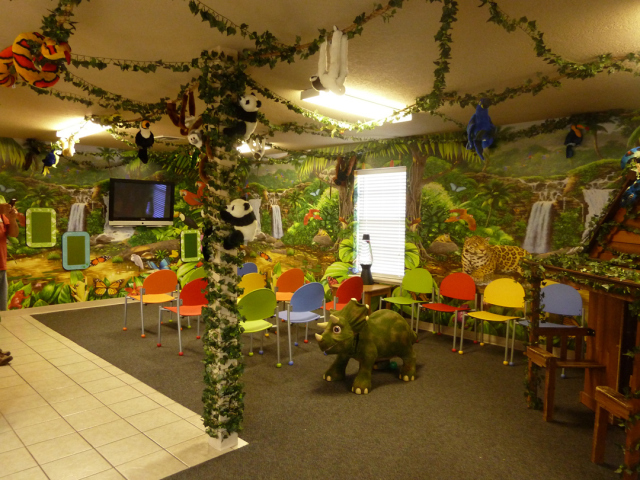 Would a trip to the dentist be more fun if you visited one of these offices? 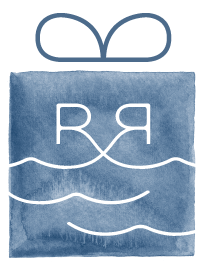 Leave us a comment or visit the Rusnak Family Dentistry Facebook page to let us know!